This is an issue that could affect vessels cruising over the world. 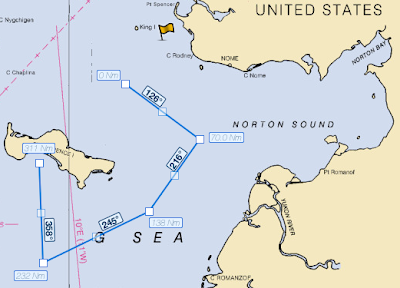 Serious navigational dangers could arise from electronic bridge systems including the Electronic Navigation Charts (ENC) and Electronic Chart and Display Information Systems (ECDIS) without adoption of a particular use. 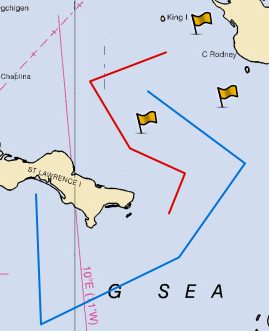 There are particular issues involved with some dangerous shoals encoded in a certain way that may not display on the navigational aids unless the option to display 'ALL SOUNDINGS' has been selected. There could also be related problems with safety contour and safety depth alarms not working without selection of this setting. The dangers arising from shoals are particularly pertinent to superyachts, which often venture into shallower water than the commercial fleet. Mariners are advised that ECDIS may not display some isolated shoal depths when operating in "base or standard display" mode. Route planning and monitoring alarms for these shoal depths may not always be activated. 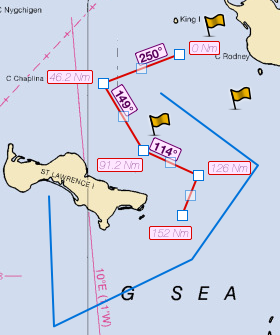 To ensure safe navigation and to confirm that a planned route is clear of such dangers, mariners should visually inspect the planned route and any deviations from it using ECDIS configured to display "all data". The automated voyage planning check function should not be solely relied upon. The International Hydrographic Organization (IHO) is leading technical action to resolve this matter. Further information will be made available through Notices to Mariners. This example of display inconsistency shows that interaction between chart and software inside the ECDIS could lead to unpredictable display on panning and zooming. And as a final result, this difficulty can create for the mariner confusion, frustation and lack of confidence in Electronic Charting. The world's largest solar boat has been unveiled this week at the Knierim Yacht Club in Kiel in Germany. PlanetSolar, a 31m long, 15m wide and 60 ton catamaran has been designed to reach a top speed of around 15 knots, and can hold up to 50 passengers. Power entirely by up to 500 square metres of photovoltaic solar panels composed by 38,000 photovoltaic cells which have an efficiency of at least 22%. The boat has been designed for a global circumnavigation planned for 2011. This extraordinary technological but also human challenge is driven by Swiss skipper Raphaël Domjan and French skipper Gérard d'Aboville, the first person to successfully row across the Atlantic Ocean in 1980. The project will help to motivate engineers and scientists to develop innovative technologies, inspire people around the world, and show that the impossible can become possible. Following the post 'How to prepare your navigation plan', you want now to export the created waypoints and routes on some usb memory stick. Saltonay, a 43-foot catamaran from Sydney skippered by Ian Sloan went to Goldcoast marinas, large urban area south of Brisbane. Following a gale, the waves in the harbor entrance (called Southport Seaway) were about 2 meters high! 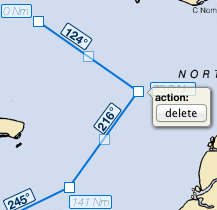 In our example, we have now 1 route and 1 waypoint. As forecasting models improve, forecasters are able to issue more accurate and timely storm warnings and advisories. "A large 1000 mb low pressure system named "Xynthia" is over the eastern Atlantic, and is expected to rapidly intensify Saturday morning into a meteorological 'bomb' that will bring high winds and flooding rains to Portugal, northern Spain, and western France. The models are coming into better agreement now, and have shifted their position for the storm's maximum intensity eastwards. France is now in the bullseye, and the storm is predicted to be at maximum intensity on Sunday morning when it will be positioned over northwestern France. The storm's powerful cold front will sweep ashore south of the low, bringing sustained winds of 50 - 60 mph (80 - 95 km/hr) to the coast of France's Bay of Biscay, with gusts over hurricane force (120 km/hr). The central pressure at that time will range from 966 mb to 972 mb, according to two of our top computer models, the ECMWF and GFS." Marine GeoGarage is a website that will allow you to look at the NOAA charts. It will open in a new window that you can then maximize to get the best view. 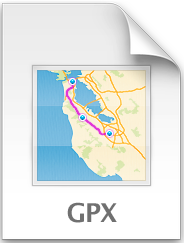 Also, if you sign up with the site (free), then you will be able to save waypoints and routes. When you open the site, if you first see a satellite view, then zoom into your favorite area by clicking on the map several times and then click on the “Map Content” box in the upper right hand corner of the chart to drop down the menu. Under the “NOAA” box, there is a slider. By moving that slider to the left, the background map will start to show through. The background map you see depends of the little drop down box under “background” at the top of the “Map Content” box. “Hybrid” is a good choice. Click on “Map Content” again to close the box. It is interesting to compare the shoal areas on the chart with the view in the satellite view. In the lower left-hand corner of the chart, you will see a lat/lon box giving the lat/lon of the mouse cursor. In the upper-left hand corner of the chart you will find the typical navigational tools of a Google Map. You can zoom in and out and move in four directions. You can also zoom with the thumbwheel of your mouse. To the right of the navigational tools, there is a tool box. The “hand” lets you move the map around, the “flag” lets you set a waypoint and the “lines and boxes” lets you make a route. Just click on the one you want. In the lower right-hand corner, there is a small map. If you grap the shaded box in the middle by clicking and holding your cursor, the can move the box all around the chart quickly. 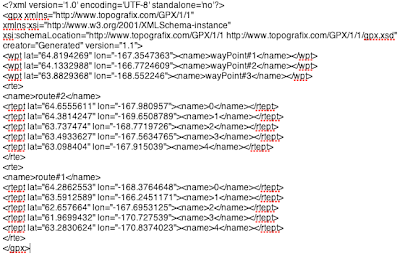 Once you play around with the site, it becomes very easy to use. Marine GeoGarage ushers in a new era of nautical mapping services with the launch of its marine charts portal, built on Cloud Computing technology. 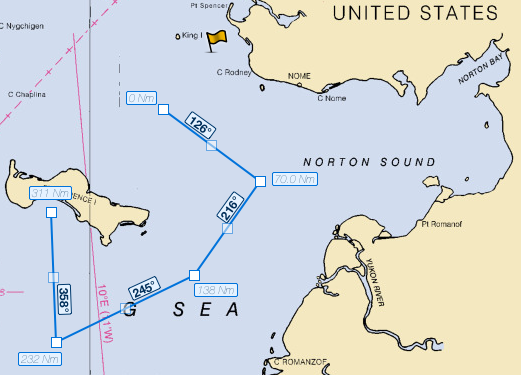 The web site is the world's first online nautical map service allowing to display maps coming from different international Hydrographic Services. Today the catalogue of charts regroups all the public raster charts from NOAA (US), DHN (Brazil), Linz (New Zealand). Today more than 3000 electronic charts are available in the GeoGarage servers; additional providers' layers are in preparation. 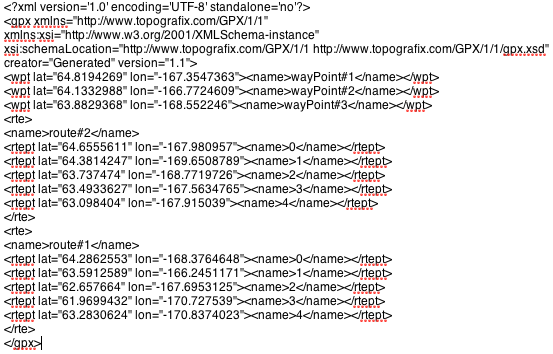 The big advantage is that all the layers are kept updated regularly so the user is sure to visualize recent documents. But the web site is not only a seamless chart viewer overlaying charts at different scales on aerial and satellite imagery from Google Maps. Saturday, Xynthia touched Portugal and Spain before crossing the French coast. In Britanny and much of the Atlantic coast, these winds, coupled with very strong tidal factors, have led to a rise in sea level over a meter. Xynthia formed "when the cold winds of altitude, the famous jet streams very powerful, came into contact with a warm air mass situated in low layer" in the middle of the Atlantic at about 30 ° north latitude. The large temperature difference between the two air masses generated the "deepening" of a huge whirlpool, or depression, which was then evacuated to the northeast. "These winter storms are relatively common but most of the time they are born farther north off Iceland and the British Isles and do not reach such intensity," says Patrick Galois, Meteo France Engineer. The violence of Xynthia comes from the fact that it has been formed much farther south than usual and has mobilized a large amount of warm air. This tool allows to create parallel profiles for a specific survey area just introducing 2 geographical points on the map (generally perpendicular to the general trend of the shore) and an uniformly-spacing distance between a selected number of profiles.